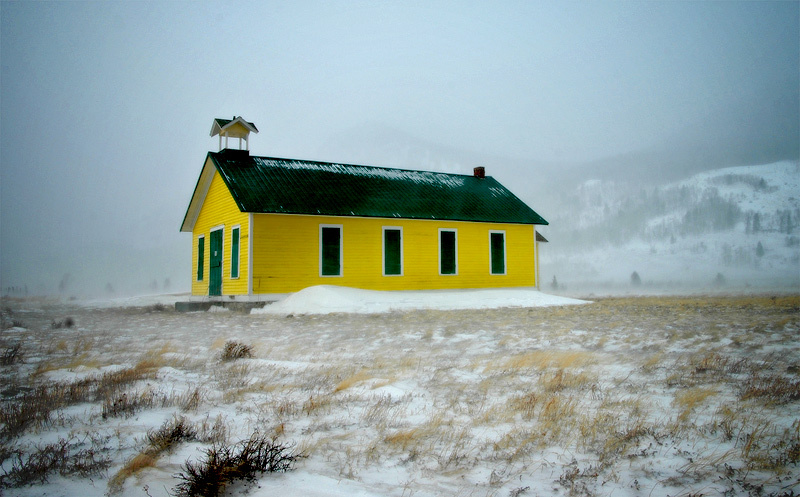 The old church in the town of Tolland, Colorado – hard place to live in the winter. At almost 100 degrees out, this feels nice. Looks well kept for a abandoned structure. I like your low feeling camera position. A bit of colour in an otherwise dreary landscape. Excellent. this is a beautiful shot, will. love, love the yellow.